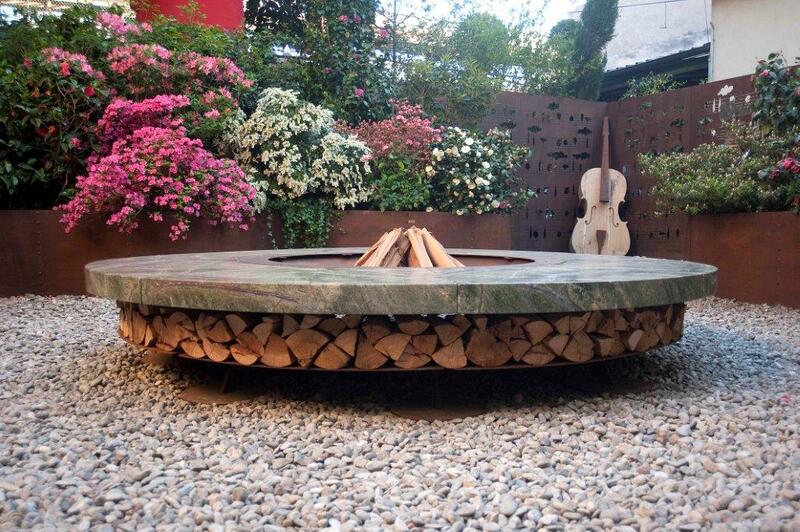 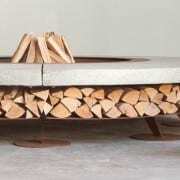 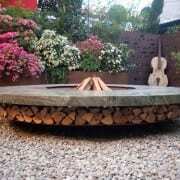 Ercole Wood Burning Fire Pit is an outdoor wood burning fire pit designed for pleasant outdoor moments. 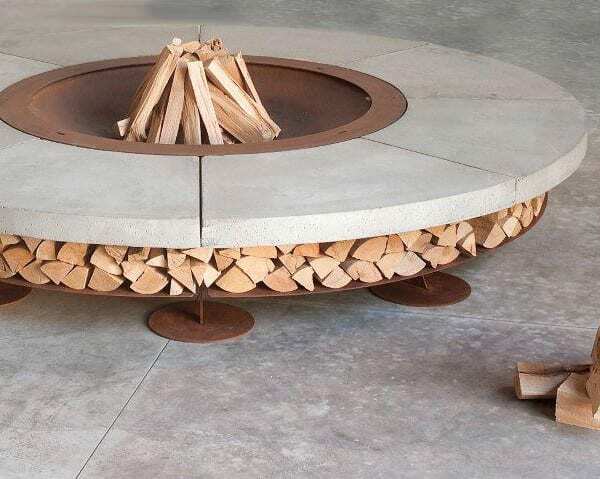 The natural elements of fire and stone are simply combined together with a modern design, thanks to technology and craftsmanship. 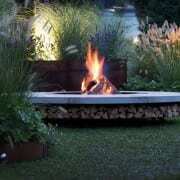 Sculptured furnishing element, Ercole lives in every outdoor situation where an important stage presence is required with a simple mission; to bring people together. 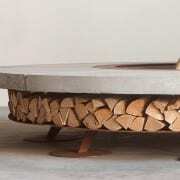 It is provided with a grill for cooking and a closing disk that covers the combustion chamber to prevent residual material getting out in the event of rain or wind. 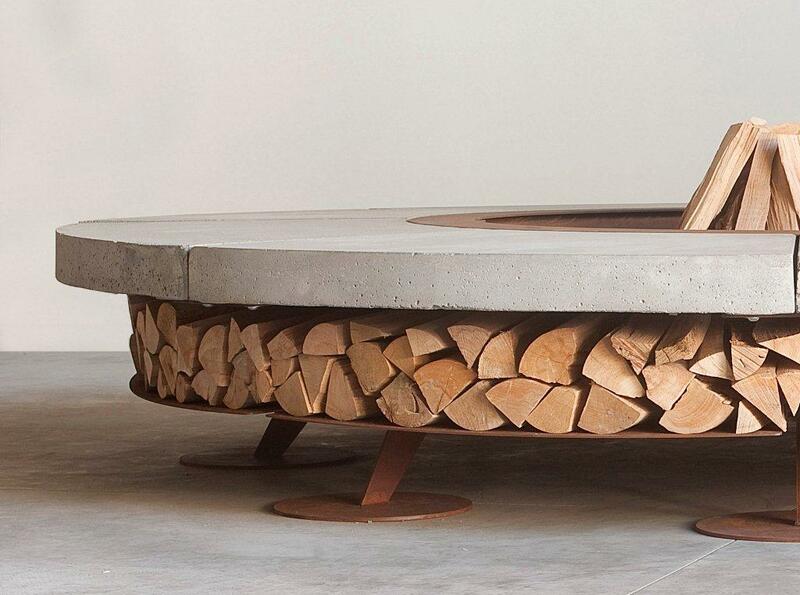 The Ercole wood burning fire pit is not just a fireplace but also a container for firewood which, when not in use, can also be a useful storage surface. 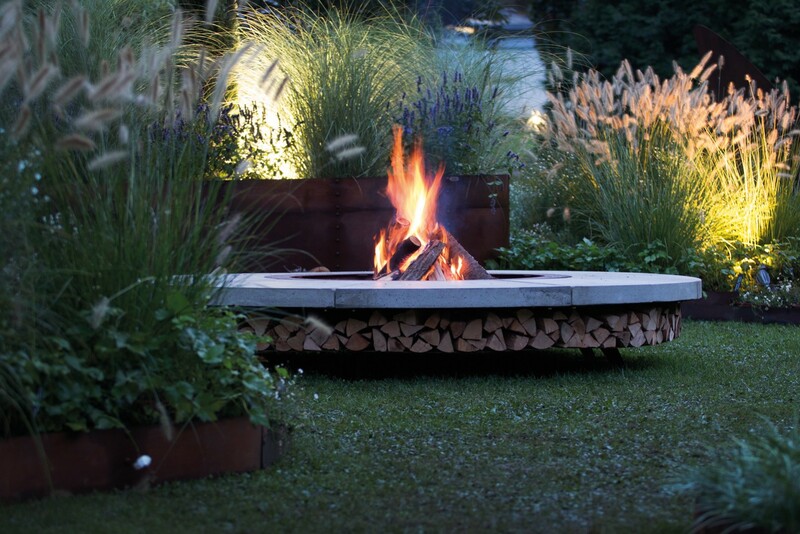 The Ercole outdoor wood burning fire pit is made from weathering COR TEN steel which will ensure many years of rust free use.